Dr Bronwyn Laycock has a diverse background in translational research - degradable polymers, biomaterials, organic and organometallic synthesis, pulp and paper chemistry, and general polymer chemistry. She is currently working across a range of projects with a focus on materials for circular economy applications. A key area is the production and processing of biodegradable, bioderived polymers, including their fundamental crystallisation kinetics, compositional distribution and morphologies, mechanical property manipulation, and production of blends and (nano)composites for desirable properties and novel applications. The application areas in her research program include biopolymers (particularly polyhydroxyalkanoates), biocomposites, controlled release matrixes for pesticide and fertiliser applications, polyurethane chemistry, polymer foams, biodegradable packaging, carbon nanofibre production and peptide based conducting nanowires. In recent years the main focus has been on the mechanistic characterisation of polyhydroxyalkanoates produced using mixed culture bacteria and fermented waste carbon streams and their analogues. As a Project Leader and Deputy Program Leader within the CRC for Polymers, she managed a project that delivered an oxodegradable thin film polyethylene that was commercially licenced by Integrated Packaging. This work earned the team a Joint Chairman’s Award for research/commercialization (CRC for Polymers) and an Excellence in Innovation Award (CRC Association). 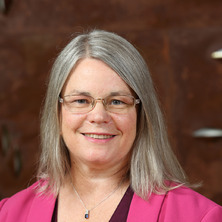 As a former Senior Research Scientist (CSIRO Division of Molecular Science), she was also awarded the Joint CSIRO Medal for Research Achievement 2009 for her work on the extended wear contact lens project (within the Vision CRC), which was successfully commercialised by Ciba Vision as the Focus Day/Night and the O2Optix lenses. More than half of all contact lenses sold in the world today are silicone hydrogel lenses, which had their genesis in Australia through the CRC program, bringing much increased comfort to millions of people worldwide. In 2007 alone, the licence revenues from the sale of these products earned the Vision CRC more than $15 million. These extended wear contact lenses are recognised as CSIRO's fourth top invention (http://www.csiro.au/en/About/History-achievements/Top-10-inventions). She also has extensive experience in statistical analysis in diverse processes such as wastewater chemistry, kinetics of chemical reactions etc. and has four years' experience in the pulp and paper industry, working on novel chlorine-free bleaching technologies. Polyhydroxyalkanoates are microbially synthesised biodegradable polymers that have properties comparable with polypropylene. They can be synthesised using mixed cultures from wastewater treatment plants and fermented waste carbon streams, and have very versatile properties depending on feedstock. Not only are they completely biodegradable, even in a marine environment, they are also water resistant (unusual for a biopolymer). Dr Laycock's research seeks to address some of the challenges around global sustainability and planetary boundaries, such as nutrient recovery and efficient use, controlled release formulations and sustainable materials for the circular economy, particularly bioderived materials for packaging, film and other applications. Current estimates set the global production of plastics at around 280 Mt pa. Much of this typically has lifetimes of hundreds of years. So, after a generally short period of use these materials end up in our solid waste, or even worse, end up in the environment. This can cause major environmental problems for wildlife and can create rafts of rubbish in our waterways and oceans. Most biopolymers are not readily marine degradable, so we are aiming to produce a cost-effective, truly biodegradable polymer from waste that has commercially relevant properties, along with composites and other products derived from these biopolymers. Nikoli, M, Colwell, J., Yeh, C.-L., Cash, G., Laycock, B., Gauthier, E., Halley, P., Bottle, S. and George, G. (2019). Real-World Factors That Impact Polyolefin Lifetimes. In James Lewicki and George Overturf (Ed. ), Lifetimes and Compatibility of Synthetic Polymers () *: Wiley. Chan, Clement, Vandi, Luigi-Jules, Pratt, Steven, Halley, Peter, Richardson, Desmond, Werker, Alan and Laycock, Bronwyn (2016) Processing and characterisation of polyhydroxyalkanoate (PHA)-based wood plastic composites: effect of non-reactive additives. Appita Journal, 69 4: 352-360. Laycock, Bronwyn, Pratt, Steven, Halley, Peter, Werker, Alan and Lant, Paul (2014) Biodegradable polymers from pulp and paper wastewater streams - a critical review. Appita Journal, 67 4: 309-315. Covey, Geoff, Allender, Bruce, Laycock, Bronwyn and O'Shea, Mike (2014) Biorefineries as sources of fuels and chemicals. Appita Journal, 67 3: 219-225. The hazards of peracetic acid bleaching: a comparative risk ranking between experts and lay people. Laycock, B, Covey, G and Grist, S (2005) The hazards of peracetic acid bleaching: a comparative risk ranking between experts and lay people.. Appita Journal, 58 6: 433-441. Garrett, Qian, Laycock, Bronwyn and Garrett, R. Wayne (2000) Hydrogel lens monomer constituents modulate protein sorption. Investigative Ophthalmology and Visual Science, 41 7: 1687-1695. Jiang, Edward, Amiralian, Nasim, Laycock, Bronwyn, Martin, Darren and Annamalai, Pratheep Kumar (2018). Carbon fibre precursors based on spinifex nanofibres reinforced polyacrylonitrile composites. In: The 11th Asian-Australasian Conference on Composite Materials (ACCM11), Cairns, QLD, Australia, (65-65). 29 July -1 August 2018. Hayati, Amir Nemati, Evans, David, Laycock, Bronwyn, Martin, Darren J. and Annamalai, Pratheep Kumar (2017). Improving sustainability and performance of the rigid polyurethane foam by lignin with enhanced dispersion and dissolution. In: 2017 International Conference on Bionano Innovation, Brisbane, Australia, (). 24-27 September 2017. Chan, Clement Matthew, Vandi, Luigi-Jules, Pratt, Steven, Halley, Peter, Richardson, Desmond E., Werker, Alan and Laycock, Bronwyn (2017). Stability of polyhydroxyalkanaote (PHA)-based wood plastic composites upon UV sunlight exposure. In: Fibre Value Chain 2017 Conference. 2017 Fibre Value Chain Conference and Expo, VIC, , (65-73). November 14, 2017-November 16, 2017. Covey, G., Laycock, B., O'Shea, M. and Vuong, K. J. (2016). Maximising value from biomass processing. In: Proceedings of Fibre Value Chain Conference and Expo 2016: Pulp and Paper Bioenergy Bioproducts. Fibre Value Chain Conference and Expo 2016: Pulp and Paper Bioenergy Bioproducts, Rotorua, New Zealand, (37-44). 12-14 October 2016. Chan, C., Vandi, L., Pratt, S., Halley, P., Richardson, D., Werker, A. and Laycock, B. (2016). Processing and characterisation of polyhydroxyalkanoate (PHA)-based wood plastic composites: effect of non-reactive additives. In: Fibre Value Chain Conference and Expo 2016: Pulp and Paper Bioenergy Bioproducts, Rotorua, New Zealand, (57-66). 12 - 14 October 2016. Covey, Geoff, Allender, Bruce, Laycock, Bronwyn and O'Shea, Mike (2014). Biorefineries as sources of fuels and chemicals. In: Ralph Coghill, David R. McKenzie, Russell Allan and Robert Johnston, Appita 2013 annual conference and exhibition. 2013 Appita Annual Conference and Exhibition, Melbourne, Australia, (219-225). 8-10 May 2013. George, Graeme A., Nikolic, Melissa, Colwell, John, Yeh, Chun-Liang, Bottle, Steven, Laycock, Bronwyn, Cash, Gregory, Gauthier, Emilie and Halley, Peter (2014). Challenges in lifetime control of oxo-degradable polyolefins and oxo-biodegradable blends. In: Abstracts of Papers of the American Chemical Society. 248th National Meeting of the American Chemical Society (ACS), San Francisco CA, United States, (). 10-14 August 2014. Laycock, Bronwyn, Pratt, Steven, Halley, Peter, Werker, Alan and Lant, Paul (2013). Biodegradable polymers from pulp and paper wastewater streams. In: Appita 2013 annual conference and exhibition. 2013 Appita Annual Conference and Exhibition, Melbourne, Australia, (159-166). 8-10 May 2013. Laycock, Bronwyn, Covey, Geoff and Grist, Steve (2005). The hazards of peracetic acid bleaching: A comparative risk ranking between experts and lay people. In: , , (433-441). .
Laycock, Bronwyn, Covey, Geoff and Grist, Steve (2005). The hazard of peracetic acid bleaching: a comparative risk ranking between experts and laypeople. In: Proceedings of the 59th Appita Annual Conference and Exhibition: Incorporating the 13th ISWFPC (International Symposium on Wood, Fibre and Pulping Chemistry). 59th Appita Annual Conference and Exhibition: Incorporating the 13th ISWFPC (International Symposium on Wood, Fibre and Pulping Chemistry), Auckland, New Zealand, (469-480). 16-19 May 2005. Martin, Darren J., McFarland, Eric , Annamalai, Pratheep Kumar and Laycock, Bronwyn (2015). Production of carbon fiber used as e.g. lightweight automobile component, involves spinning precursor fiber filament from solution comprising nanocellulose fibril, and carbonizing filament by pyrolysis at elevated temperature. WO2015143497-A1. Werker, A., Arcos-Hernandez, M., Laycock, B., Pratt, S., Johansson, P. and Magnusson, P. (2014). Method of producing polyhydroxyalkanoate compounded plastics having improved mechanical properties. WO 2014097193. Dagley, I., Halley, P., Laycock, B., Nikolic, M., Cash, G. and Gauthier, E. (2013). Degradable Polyolefin. .
George, G., Johnstone, P., Warner, J., Halley, P., Laycock, B., Gardi, S., Pasti, C. and Schlingloff, G. (2010). Degradable polymeric film. EP2176322. Laycock, B., Hawthorne, D., Hodgkin, J. and Morton, T. (2001). Aqueous Polyimide Process. 6,333,391. Chaouk, H., Meijs, G. and Laycock, B. (2000). Process for manufacture of a porous polymer from a mixture. 6,015,609. Meijs, G., Laycock, B., Griffiths, M., Cheong, E., Steele, J. and Johnson, G. (1999). Cell growth substrate polymer. 5,994,133. Laycock, B. and Meijs, G. (1999). Polymerizable siloxane macromonomers. 5,981,615. Nicolson, P., Baron, R., Chabrecek, P., Court, J., Domschke, A., Griesser, H., Ho, A., Hoepken, J., Laycock, B., Liu, Q., Lohmann, D., Meijs, G., Papaspiliotopoulos, E., Riffle, J., Schindhelm, K., Sweeney, D., Terry, W., Vogt, J. and Winterton, L. (1999). Extended Wear Ophthalmic Lens. 5,965,631. Nicolson, P., Baron, R., Chabrecek, P., Court, J., Domschke, J., Griesser, H., Ho, A., Hoepken, J., Laycock, B., Liu, Q., Lohmann, D., Meijs, G., Papaspiliotopoulos, J., Riffle, J., Schindhelm, K., Sweeney, D., Terry, W., Vogt, J. and Winterton, L. (1999). Extended wear ophthalmic lens. 5,849,811. Meijs, G., Laycock, B., Griffiths, M. and Cheong, E. (1999). “Perfluoroalkylether macromer having two polymerisable groups”. 5,962,611. Meijs, G., Laycock, B., Steele, J. and Johnson, G. (1999). “Polymerizable perfluoroalkylether macromer”. .
Nicolson, P., Baron, R., Chabrecek, J., Court, J., Domschke, A., Griesser, H., Ho, A., Hoepken, J., Laycock, B., Liu, Q., Lohmann, D., Meijs, G., Papaspiliotopoulos, E., Riffle, J., Schindhelm, K., Sweeney, D., Terry, W., Vogt, J. and Winterton, L. (1998). “Polymerizable perfluoroalkylether macromere". 5,789,461. Nicolson, P., Baron, R., Chabrecek, P., Court, J., Domschke, A., Griesser, H., Ho, A., Hoepken, J., Laycock, B., Liu, Q., Lohmann, D., Meijs, G., Papaspiliotopoulos, E., Riffle, J., Schindhelm, K., Sweeney, D., Terry, W., Vogt, J. and Winterton, L. (1998). Extended wear ophthalmic lens. US5760100 A.
Nicolson, P., Baron, R., Chabrecek, P., Court, J., Domschke, A., Griesser, H., Ho, A., Hoepken, J., Laycock, B., Liu, Q., Lohmann, D., Meijs, G., Papaspiliotopoulos, E., Riffle, J., Schindhelm, K., Sweeney, D., Terry, W., Vogt, J. and Winterton, L. (1998). Methods of forming an extended wear ophthalmic lens having a hydrophilic surface. US5776999 A. Development of novel controlled release fertilisers for improved nutrient delivery efficiency.